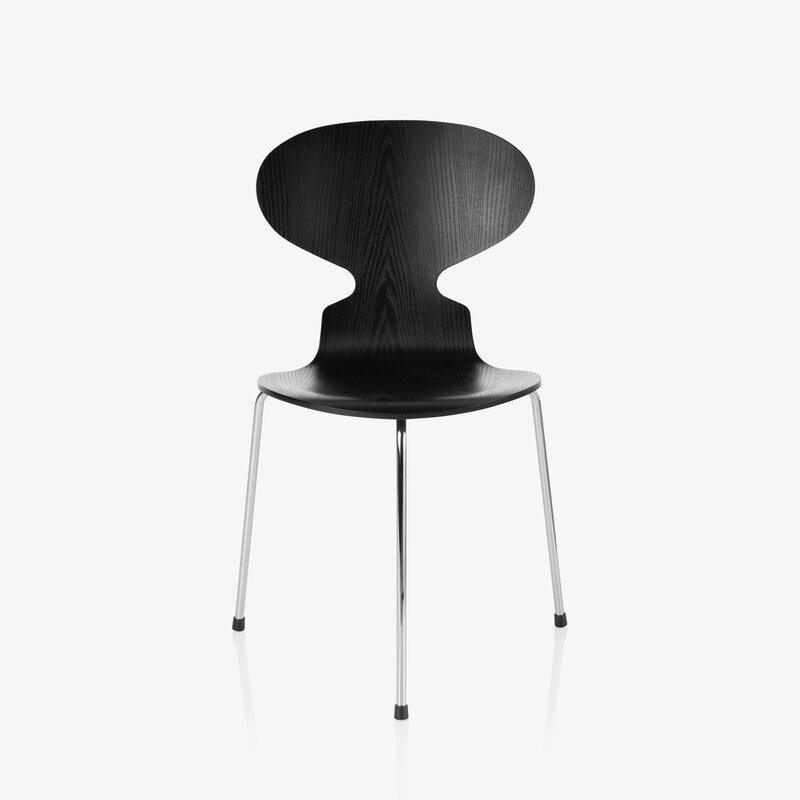 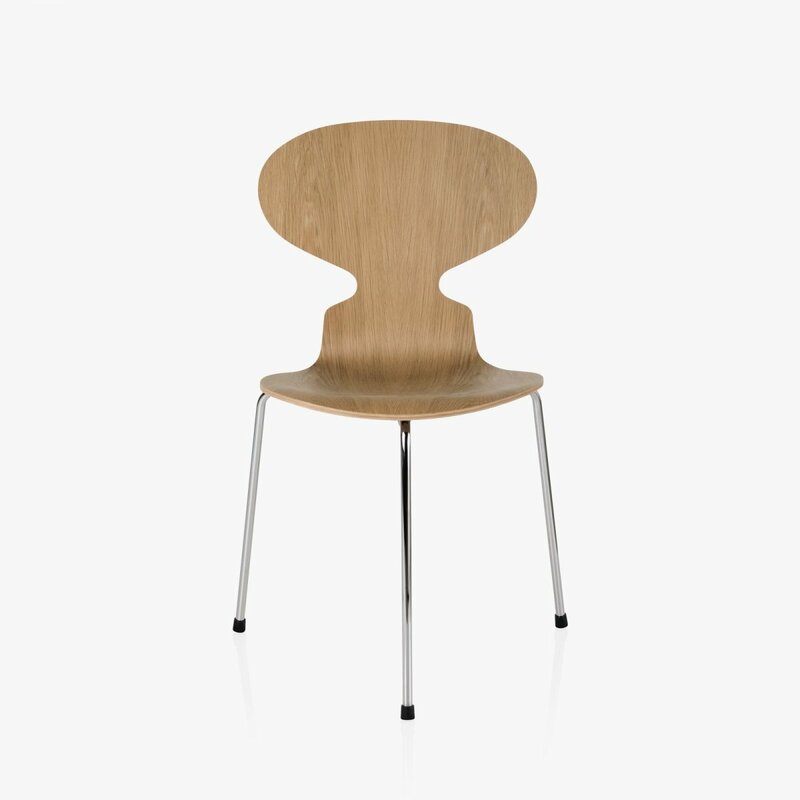 Ant 3100 Chair is a mid-century modern three-legged chair designed by Arne Jacobsen for Republic of Fritz Hansen. 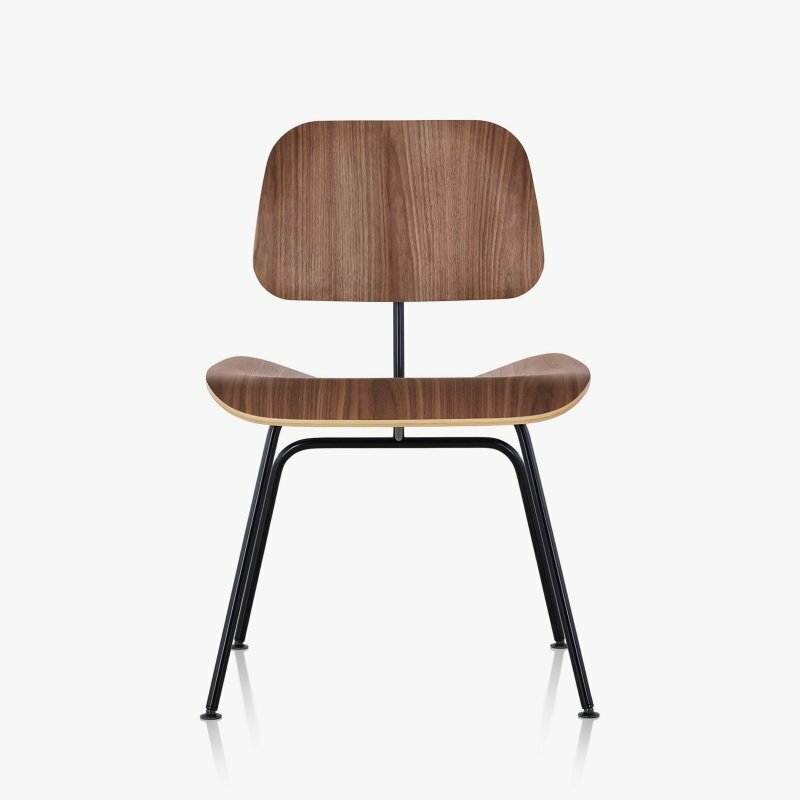 The Ant comes in different types of veneer, as well as with a colored ash or lacquer finish in all colors. 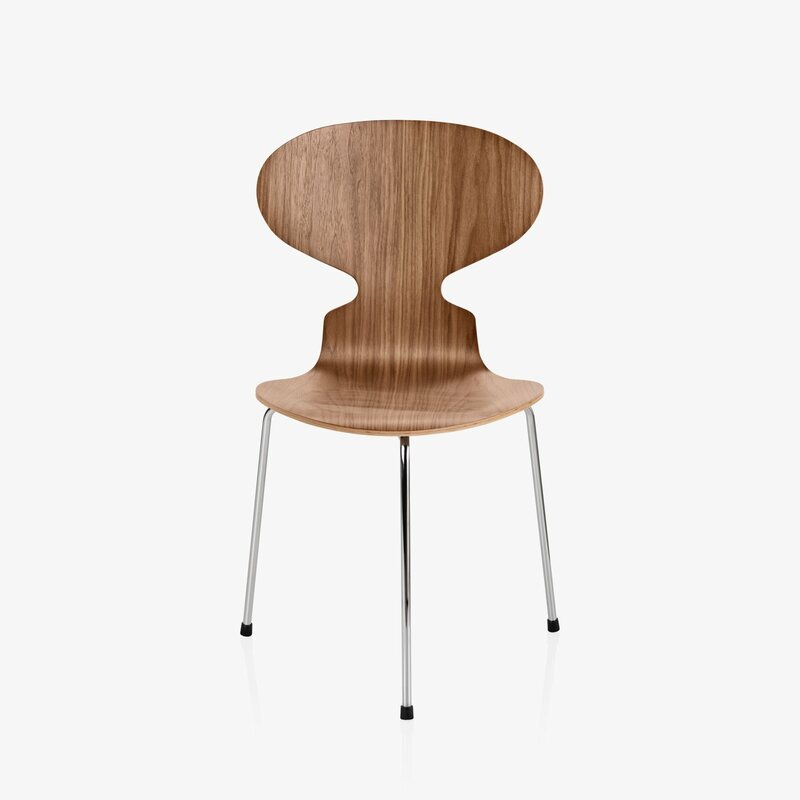 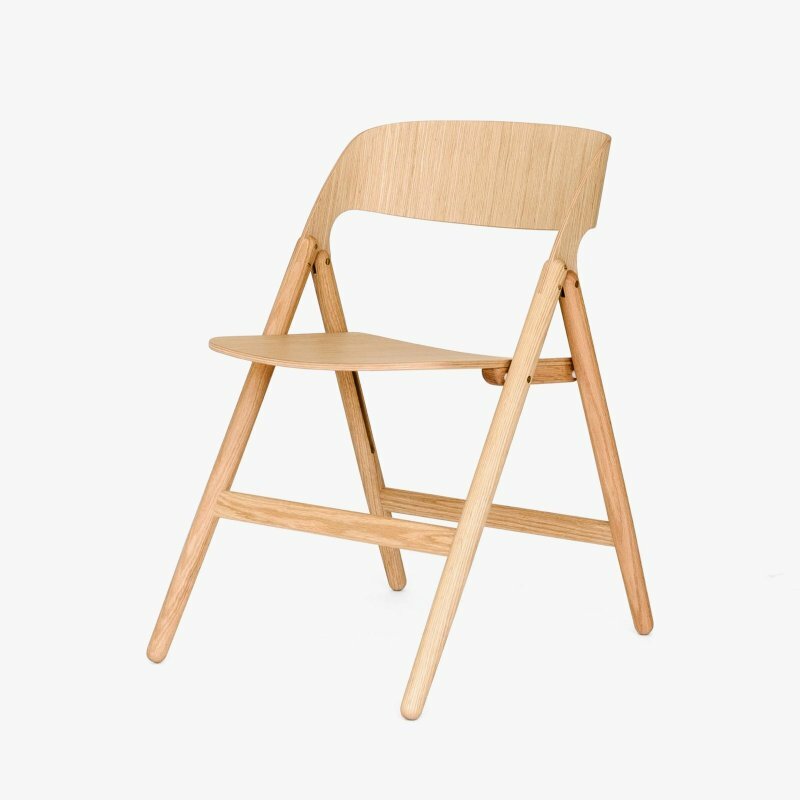 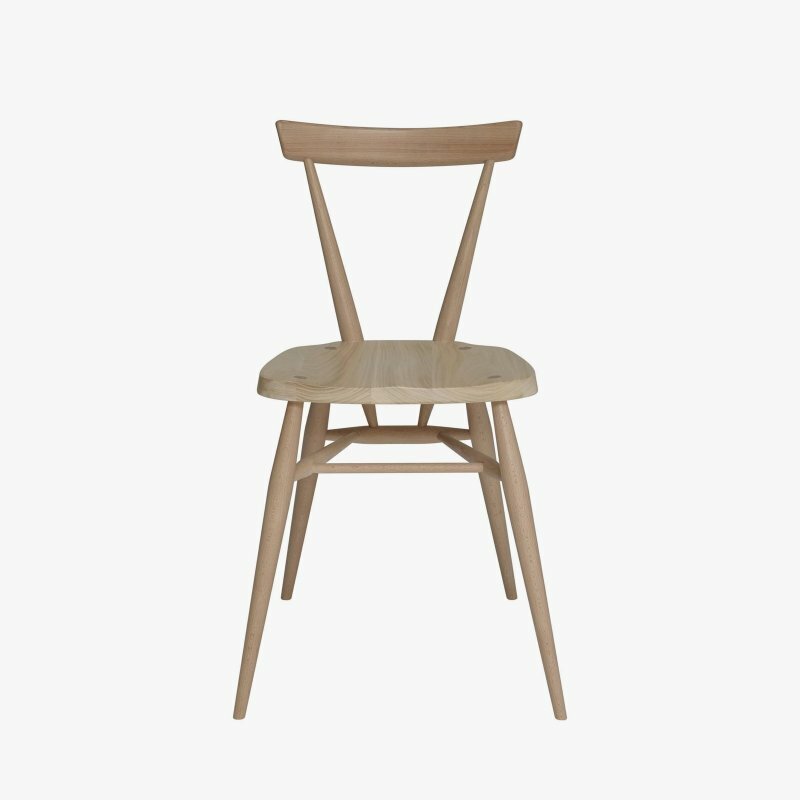 All chairs are made of pressure moulded sliced veneer. 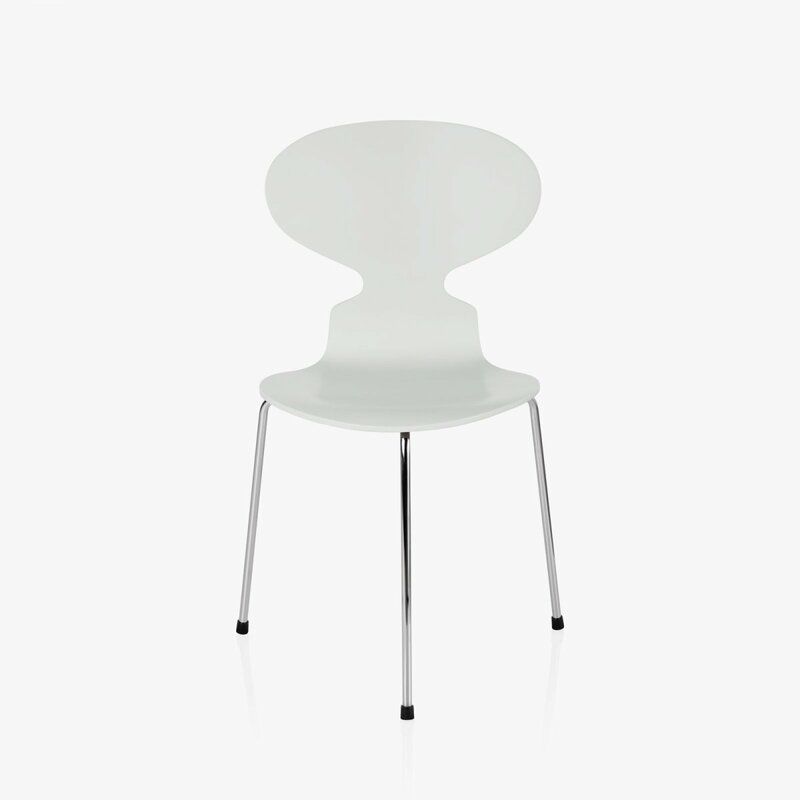 The base comes with three legs and is made of chromed steel tubes. 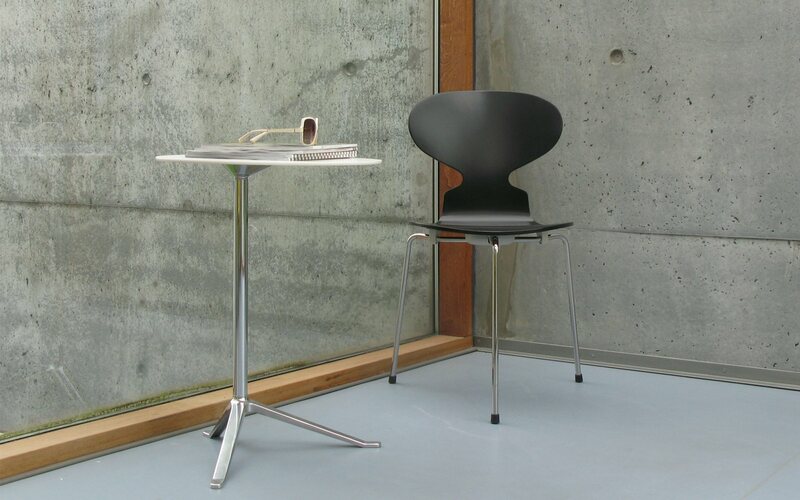 The Ant is stackable up to 12 pieces.